Those of you hoping that Chelsea's sacking of Jose Mourinho would lead to Pep Guardiola landing at Chelsea are about to be disappointed, if reports in the German press prove to be accurate. Apparently, the print version of Bild is claiming that the former FC Barcelona and current Bayern Munich man has signed a three-year deal with Manchester City. 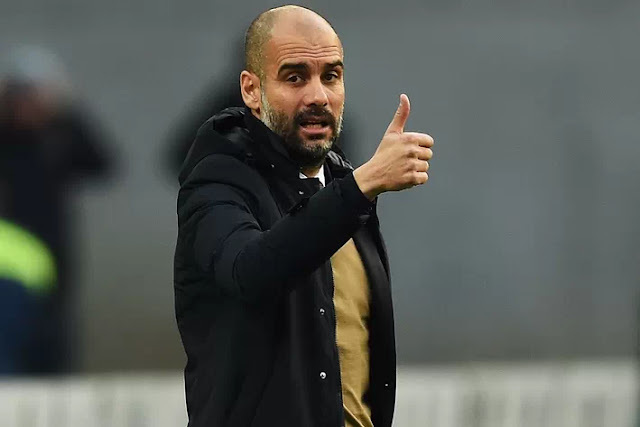 Given the links between Guardiola and the City front office, as well as the ridiculous amount of money that City have at their disposal, it was always believed that the Manchester club would wind up landing Pep once he officially left Germany. That means that Roman Abramovich and Chelsea will need to turn their attention elsewhere, with Atletico Madrid's Diego Simeone being the most likely manager to top Chelsea's wishlist this summer. Regardless of whether it's Simeone or someone else, though, there's sure to be no shortage of rumors.